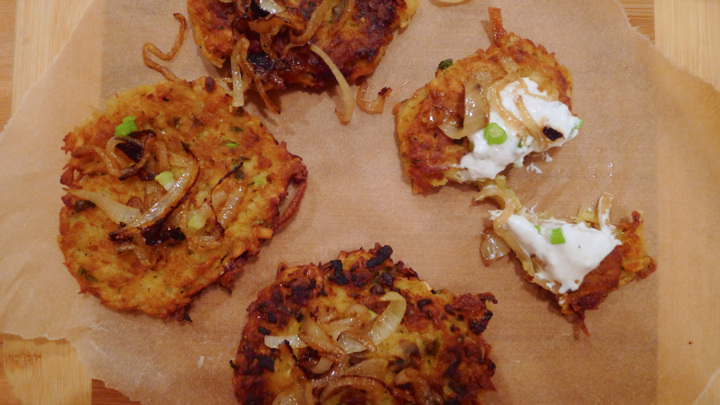 Oh latkes. 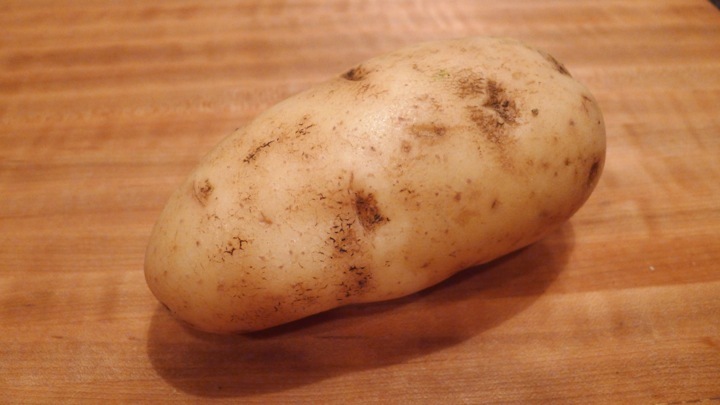 I latke you A LOT. Crispy potato goodness smothered in sour cream, how could someone not love you? 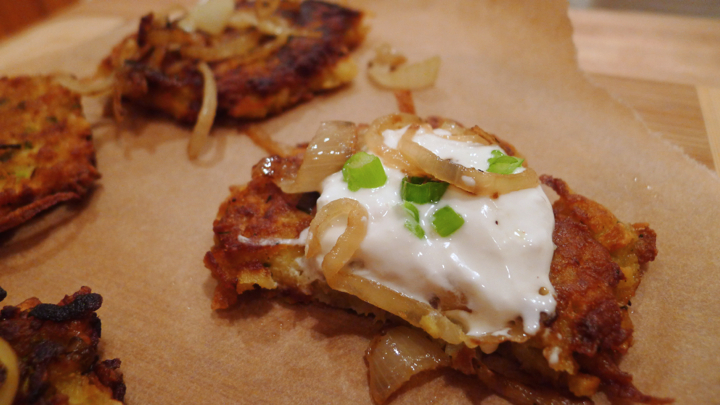 When I got potatoes and parsnips in my CSA bag this week, my sister recommended I make some latkes. She’s the smart sister, clearly. So I did just that! 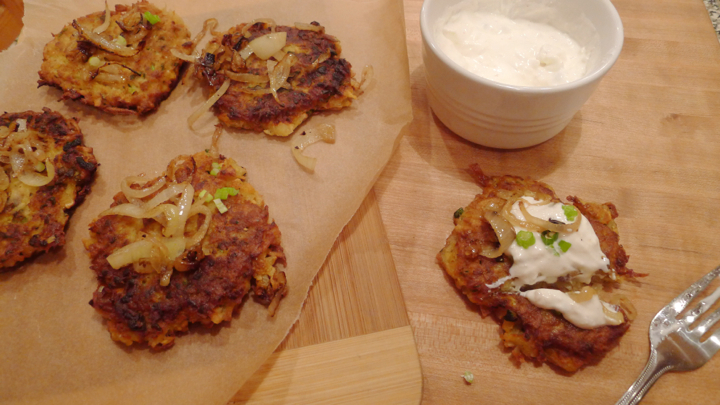 I didn’t even plate them when they were finished, I just ate them right off the cutting board, adding dollops of (horseradish) sour cream and sweet caramelized onions. And with my Rumours record playing in the background and a big glass of wine in hand, it was a perfect little Tuesday night at home! 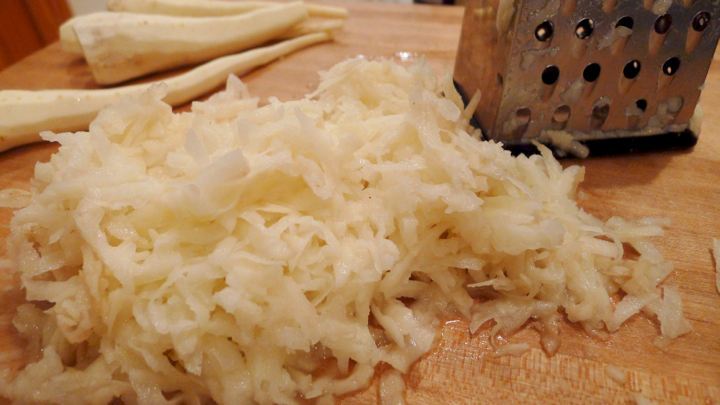 Start by grating the potato and parsnips. Place in a paper towel and squeeze out the excess liquid. 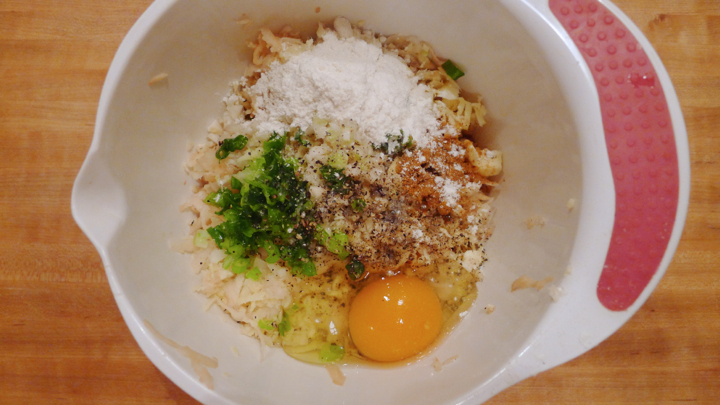 Place the gratings in a bowl and add the minced garlic, chives, egg, flour, cayenne, salt and pepper. Form into patties with your hands and set aside. Heat a large skillet over medium high heat and add a bit of vegetable oil. 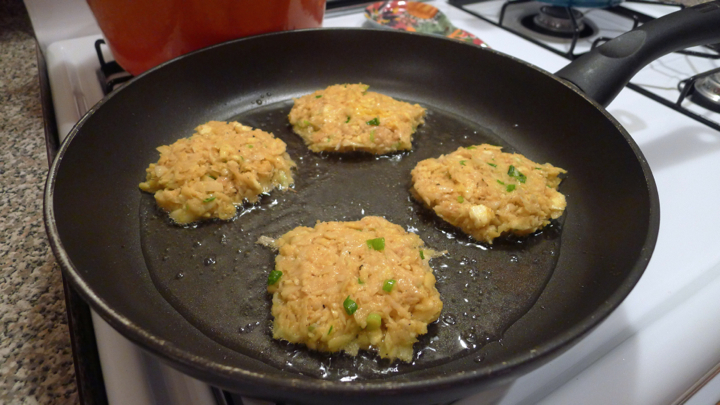 You want enough that it’ll slightly fry the latkes without making them too oily. 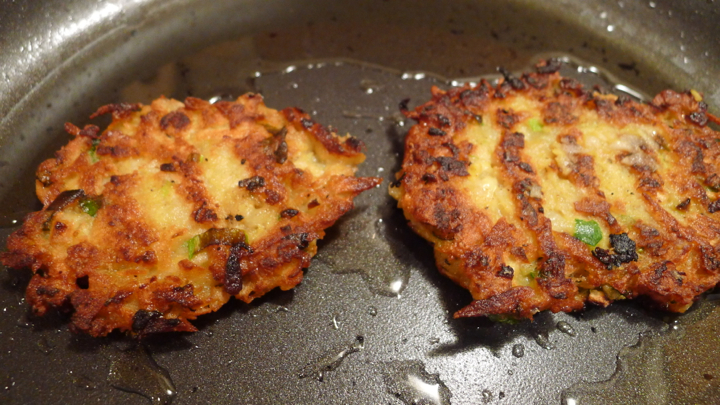 Fry the latkas in batches, about 4-5 minutes on each side, or until golden brown with a little crisp. I like to push mine down with the spatula to flatten them a little to help get them crispy. 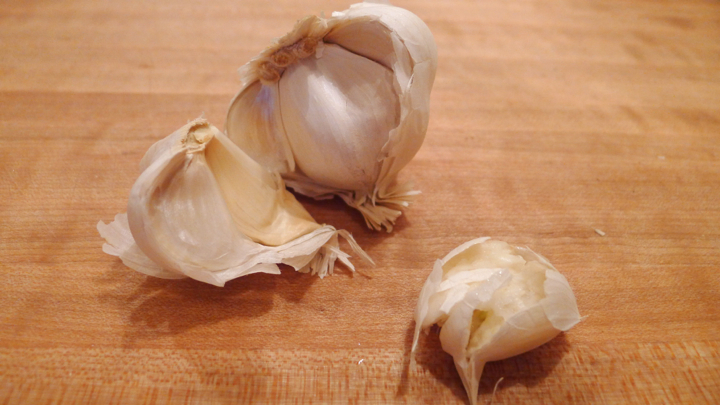 Let drain on a paper towel for a minute or two before serving. 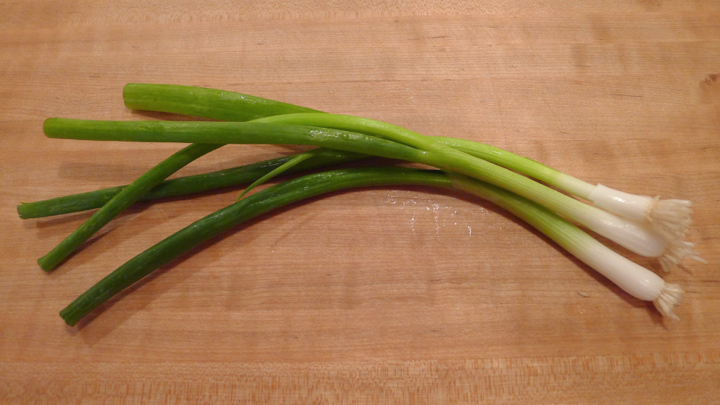 While the latkas are cooking, sauté the onion in some olive oil. 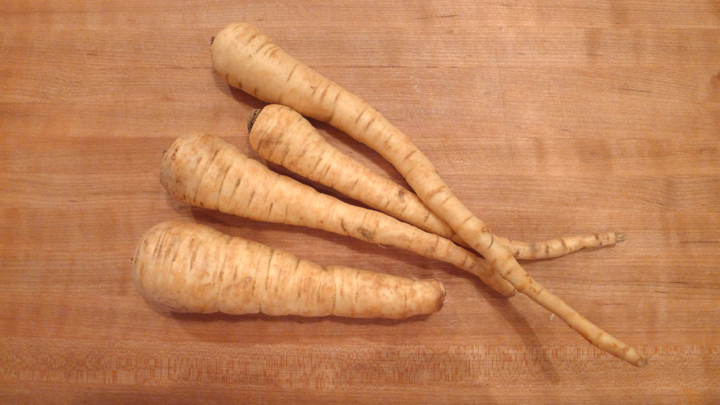 At this time, also make the cream by mixing the sour cream and horseradish together. Set both aside until ready to serve with the latkas!